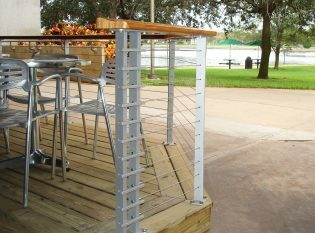 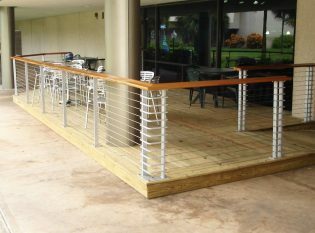 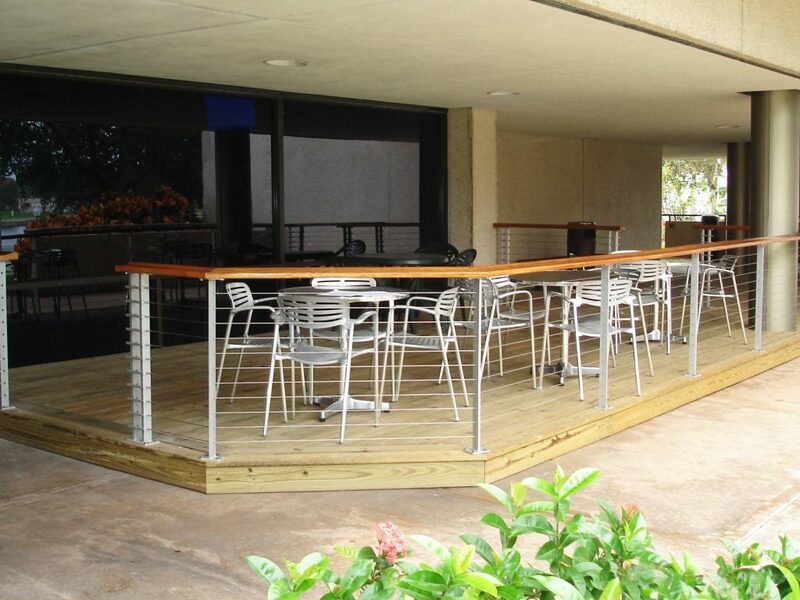 The outdoor seating area of Bayboro Café at the University of South Florida needed a railing system that enclosed the space yet maintained an open feel. 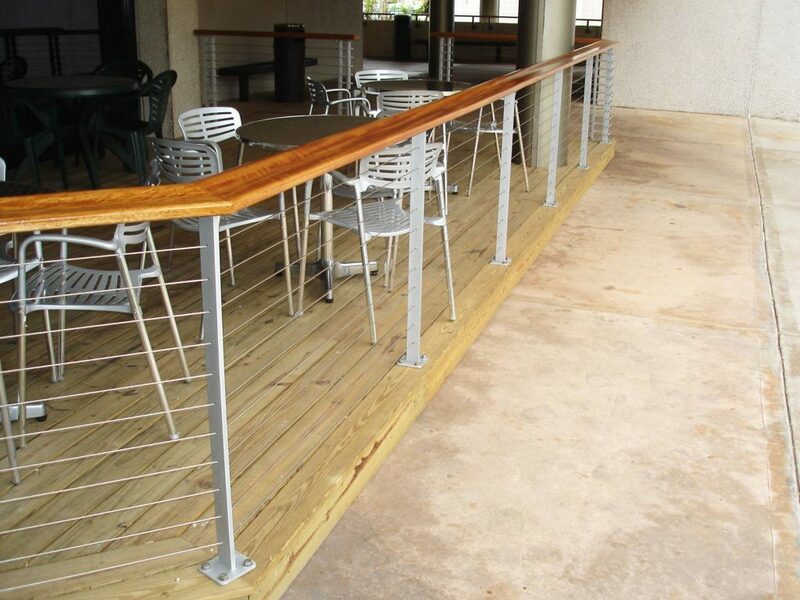 We designed a Tokyo Style railing system with silver powder-coated steel posts and a wood top rail. 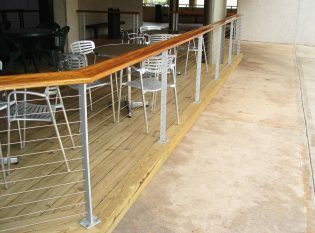 The railing allows for the passage of the Florida breeze and preserves the patio’s view of the nearby pond.